Special shoe polish for maintaining the Sun Reflect system. Protects and waterproofs modern smooth leather shoes which are fi nished with a membrane. Gives the leather added lustre and maintains it´s breathability and water-resistance. 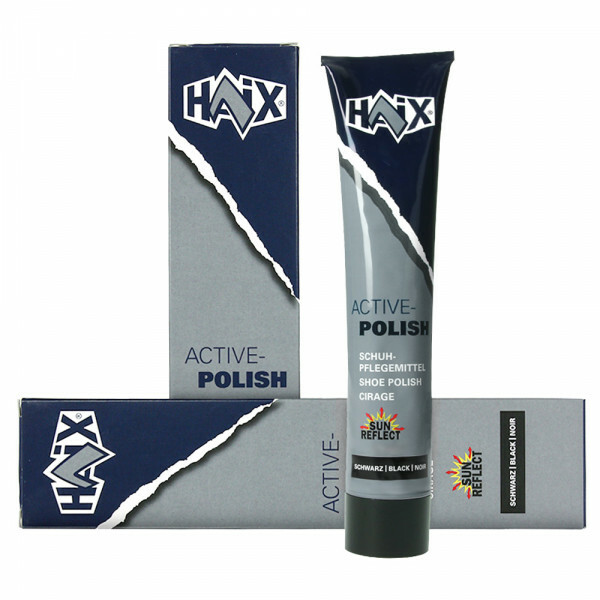 Clean shoes thoroughly, then apply a thin coat of HAIX Active Polish. When dry, buff to a shine with a soft brush or cloth.